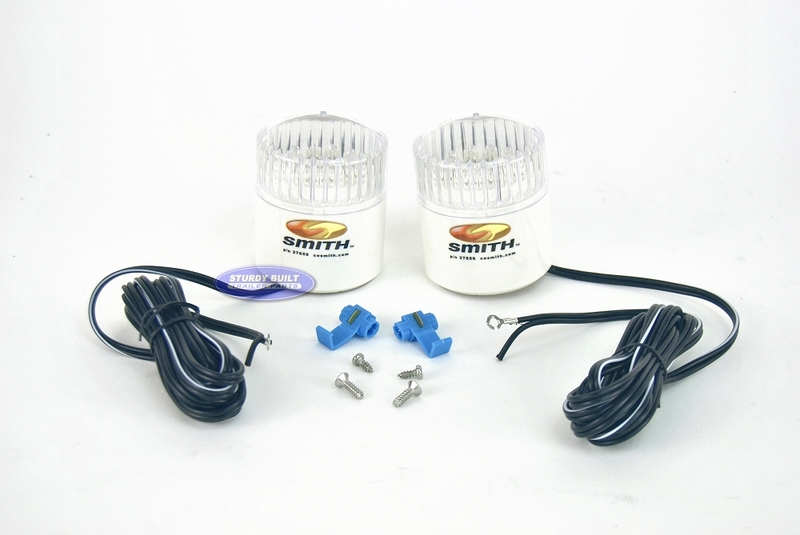 CE Smith LED Top Light Kit for 2" PVC Guide Poles. This Kit is designed to mount on the top of the Guide Posts as a directional tool to assist in not only reversing but also also a indicator to signal other drivers. 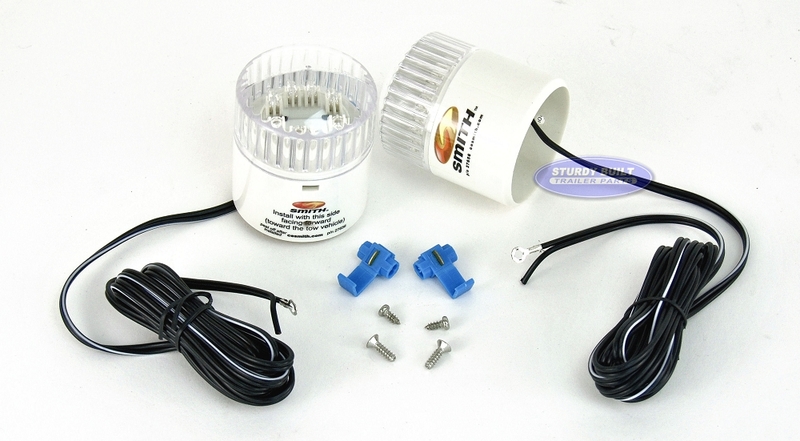 Each kit includes Two Top Lights and Wire Leads with Ground and Power wire for each side. These wire leads will run down the inside of your PVC pole to be spliced into your existing trailer wiring using the included Scotch Locks. Also included are two Ground Wire securing screws and two screws for securing the Top Lights to the PVC. These lights are Water tight and super bright. 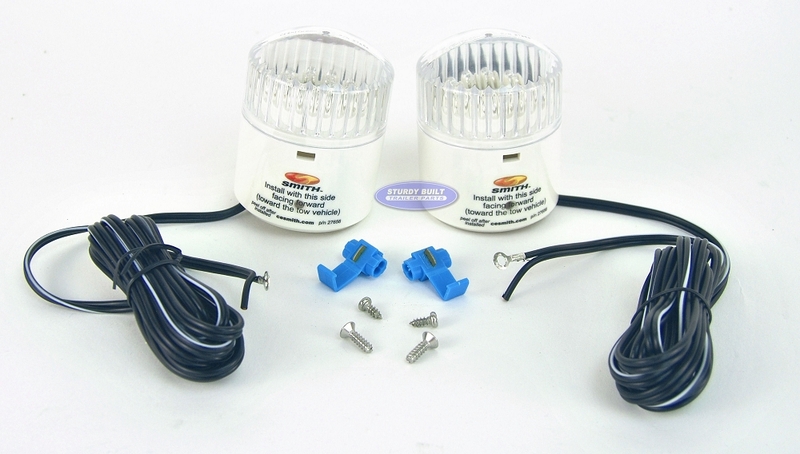 Ideally you would use these lights to provide additional indication and visibility of your trailer. 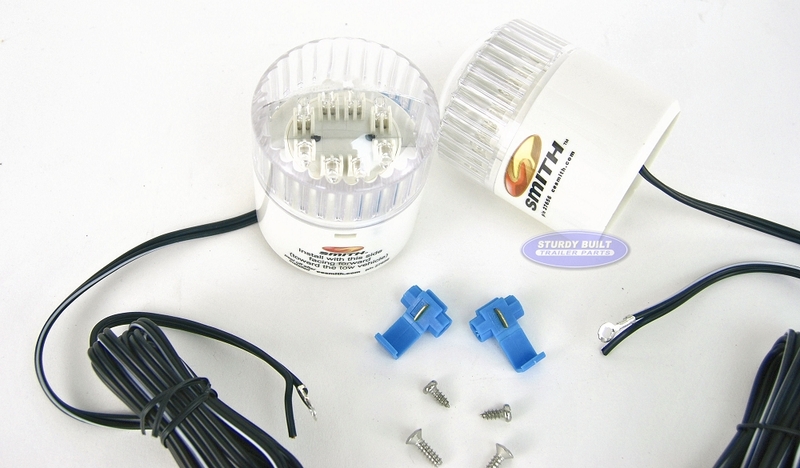 These Cap also be used on Pipe Lights as well, when using a 2" PVC Adapter to outfit them together. These Lights are Amber facing the Front of your trailer, and red facing the rear of your trailer.